This year, Lantern Festival 元宵节 coincides with Valentine’s Day 情人节 in China. As the festival atmosphere builds up, sales of flowers and chocolates, as well as a traditional Lantern Festival treat, are heating up fast. 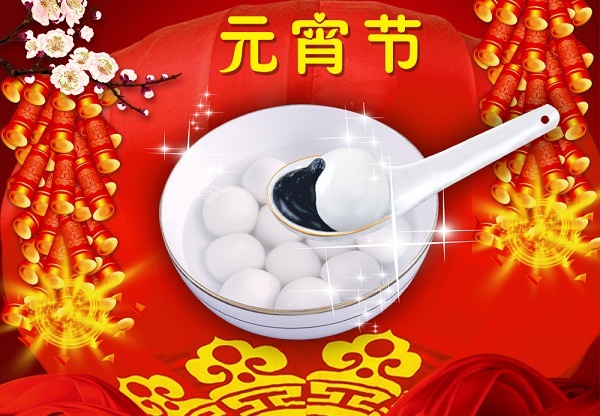 Sales of Tang-Yuan 汤圆 and chocolates are increasing. Packed chocolates are selling well as young people like to give them as presents. But because of snow and low temperatures in Yunnan, China’s major flower farming region, prices of flowers are much higher than usual. “Normally, a rose 玫瑰花 costs five to eight yuan, but goes up to 15 yuan on Valentine’s Day. This year, prices are estimated to reach 25 to 30 yuan,” said flower shop owner Xiong Yao. However, flower sales show no sign of dipping. And flowers booked by phone or on the internet are also receiving a warm holiday welcome. Chinese red lanterns 灯笼 add to the festive atmosphere. The lantern festival on the 15th day will mark 标志 the end of the Chinese New Year holiday. The sky lantern probably was invented before Late Han Dynasty. A prime minister Kung-Ming used sky lantern for military liaison purpose during Three Kingdom epoch (221A.D.). Some people still call the sky lantern as Kung-Ming lantern 孔明灯.Some people will fly the sky lantern by writing their wishes on the paper lantern and pray their wishes come true. Yuan-Xiao just like Tang-Yuan.They are made of sweet rice flour into sticky glutinous balls. They can be filled in with sesame, red-bean or peanut butter paste. Usually, they are severed with sugar water. But some people still make salty Tang-Yuan. Did you receive Valentine bouquet yet? 当 然 了，我 收 到 了 我 丈 夫 送 的 一 大 束 鲜 花 和 一 盒巧克力. Of course，I got a large bouquet of flowers and one packed chocolate from my husband.